Away in the Manger Nativity Scene Made in U.S.A.
Home > Nativities Sets > View All Nativity Sets from Around the World > Away in the Manger Nativity Scene Hand Cast Stone Made in U.S.A. 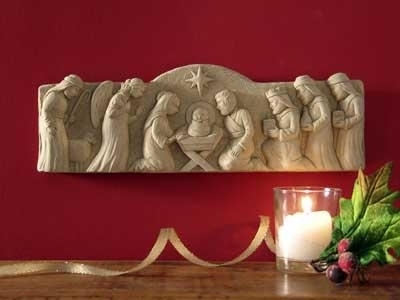 This traditional nativity scene is set in a horizontal shape perfect for specific architectural areas. A lovely theme gift in the spirit of the holiday season.